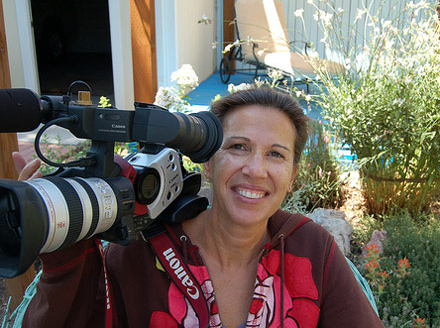 Sarah C. Sifers, Ph.D. is a producer, director, cinematographer, sound person, and writer. She is a licensed psychotherapist and world-renowned scholar who has conducted ethnographic fieldwork with shamans in Siberia, Brazil, Nepal and the Navajo Reservation in Arizona. 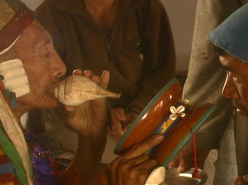 Since 1997, she has spent extensive time in Nepal researching and documenting the work of Tibetan and Nepali shamans. Her first documentary, Fate of the Lhapa, premiered at the Maui Film Festival and continued to play in festivals around the world. Sarah worked as a cinematographer on Jenny Mackenzie’s documentary Kick Like A Girl, which aired on HBO. She also traveled to Dharamsala India to film a special long life offering ceremony for His Holiness the Dalai Lama.